Tides, a sister to Group One winner Shoals (above) has won a maiden at Bendigo at her 2nd start. A sister to three-time Group One winner Shoals has opened her account with a maiden victory at Bendigo. Tides won Tuesday’s No Fuss Event Hire Maiden over 1300m at her second race start having finished midfield at Geelong on debut last September. Like Shoals, Tides is raced by John Messara’s Arrowfield Stud syndicate and Jonathan Munz’s Pinecliff Racing and trained by Anthony Freedman. 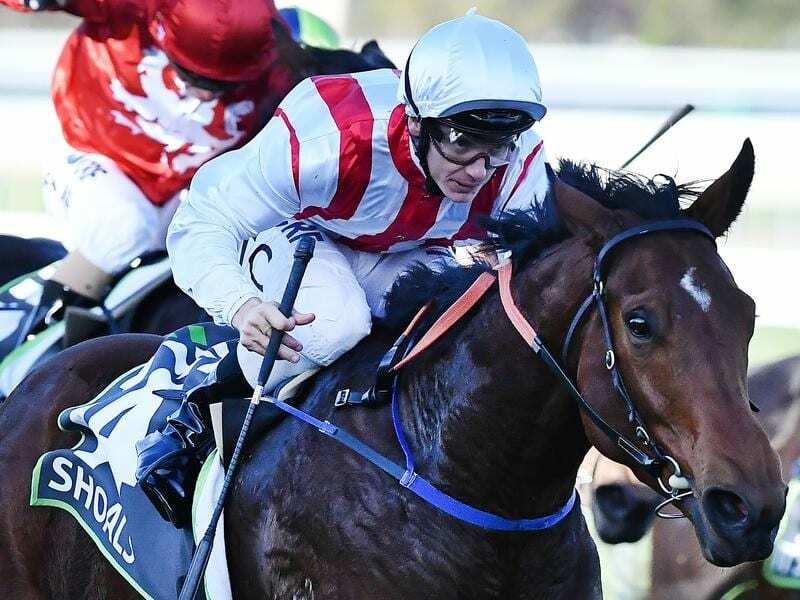 Shoals was successful at Group One level from 1200m to 1600m and was retired after finishing eighth to stablemate Santa Ana Lane in the TJ Smith at Randwick on April 6. Freedman’s assistant trainer, son Sam, said the stable planned to step Tides up in distance following Tuesday’s win under Mark Zahra. “She’s one we want to get out to a trip now,” Freedman told broadcaster Racing.com. “She really raced like that. When Mark went for her, it took a little bit of going, and her best work was through the line. “She’s a filly that Jonathan Munz and John Messara have been patient with. Freedman said the three-year-old could find her way to Queensland for a winter campaign. Tuesday’s race also featured the debut of Demand Attention, a three-year-old daughter of three-time Melbourne Cup winner Makybe Diva by dual hemisphere Group One winner Starspangledbanner. Trained by Chris Waller, Demand Attention was never in contention before finishing eighth of the nine runners.